The most beautiful places to visit in the world are scattered in many countries. Indeed, the world is absolutely packed with natural beauty. So, instead of having a vacation in a crowded city, you can opt to find beautiful places in the world where natural beauty can be enjoyed so easily. Below is the list of some of the prettiest places you can find in this planet. There are many places across the USA with beautiful views and Grand Canyon is simply one of them. When you visit Grand Canyon, you will have the rare opportunity to see majestic natural beauty of colorful rocks layered together and form magical scenery. Grand Canyon is simply beautiful, especially for those who love geology. Situated between Keflavik International Airport and Reyjavik, The Blue Lagoon is one of the prettiest spots to see all across Iceland. This place is a geothermal spa with fascinating scenery. The man-made spa is surrounded by the view of lava field has milky-white water. Even though the spot is man-made, the view around the spot is pretty much superb. Plitvice Lakes is situated between Zagreb, the capital city of Croatia, and Zadar, a small town located on the coast of Adriatic Sea. Basically, the lake provides gorgeous view because it is surrounded by almost 300 square of forest, waterfalls, and natural bridges. The Great Barrier Reef in Australia is basically a huge natural rocks and coral reefs that lays more than 2,300 long. Tourists love to visit this northeastern Australian natural beauty because the view is probably can be found only in that spot. When visiting The Great Barrier Reef, tourists can see sparkling beaches with white sand, coral cays, and majestic reef systems. In the border of two great countries, USA and Canada, lies the Niagara Falls. It is one of the biggest, tallest waterfalls in the world. 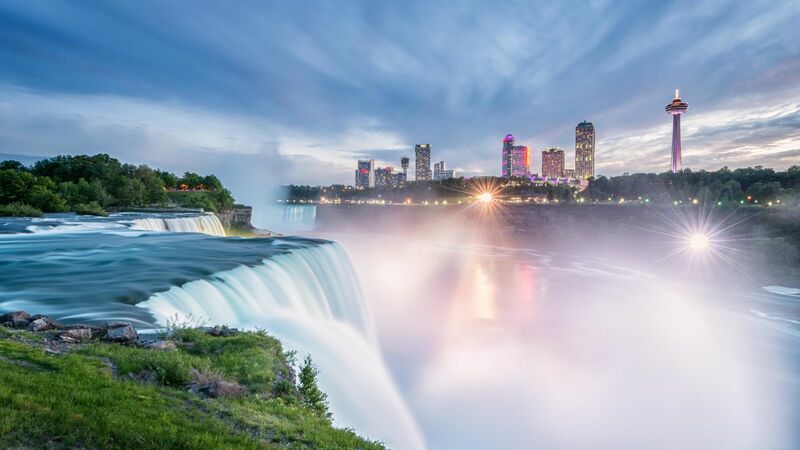 The Niagara Falls is often dubbed as the most beautiful places to visit in the world. The list up above has some of the places in the world with stunning sceneries. They surely are worth visiting during your vacation. That is why while planning your vacation, you must be very selective in making the list of the places you want to visit because there are indeed so many places considered as the most beautiful places to visit in the world.